Randy Susan Meyers, known for her novels of domestic drama, will present her latest work, The Widow of Wall Street, on Tuesday, September 25, at the South End library at 6:30 PM. Her novels, international bestsellers, are informed by years of working with families impacted by violence, and represent her personal long journey from idolizing 'bad boys' to loving a good man. 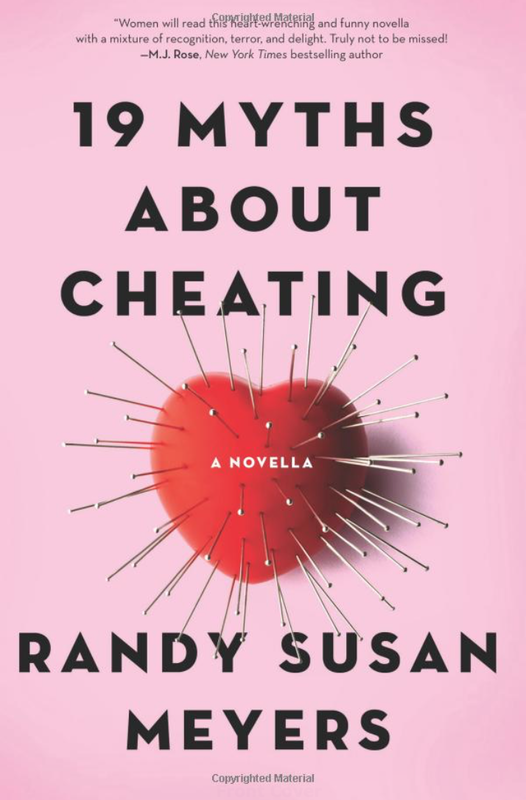 Her most recent work, a novella called, 19 Myths About Cheating, also will be available at the event. The Widow of Wall Street, her fourth novel, was called an “engrossing emotional journey” by Kirkus Review, and “compelling” by the Associated Press. Library Journal wrote it was “..full of deceit, scandal, and guilt.." and that it "..expertly explores how rising to the top only to hit rock bottom affects a family. The consequences will leave readers reeling.” Meyers, who calls her latest book a roman à clef, a form of fiction she enjoys reading herself, delves into the role of Ruth Madoff, wife to Bernie, of the infamous Ponzi scheme. The author won the 2015 Must Read Fiction Massachusetts Book Award for her earlier work, Accidents of Marriage. The Boston Globe reviewer said the book, which explores emotional abuse in a family living in a Jamaica Plain Victorian, a 'complex, captivating tale.' It was chosen by People Magazine as "Pick of the Week." The Boston Globe called Meyers's second novel, The Comfort of Lies, as “..sharp and biting, and sometimes wickedly funny when the author skewers Boston’s class and neighborhood dividing lines." In addition to her debut novel, The Murderer's Daughters, Meyers has published an author's guide called What To Do Before Your Book Launch. The Los Angeles Times called The Murderer's Daughters a "knock-out debut." Meyers's novels have been chosen twice by the Massachusetts Center for the Book as "Must Read Fiction,” and she has been a finalist for the Massachusetts Book Award twice, as well. In a 2010 article published in the U.K., Meyers disclosed her own father tried to kill her mother when she was four. She described in the interview how domestic violence affected her family for decades after.